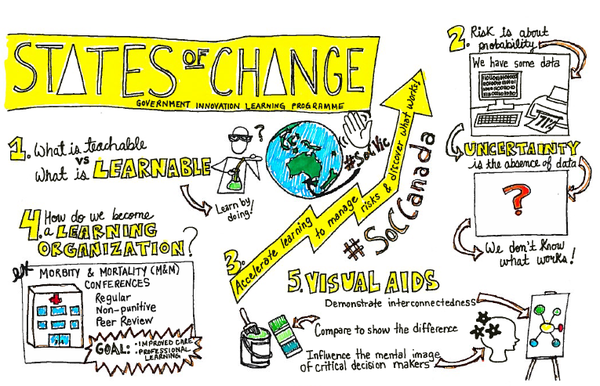 In May we launched the Canadian chapter of States of Change - our new global collective to develop and support public innovation learning. We’ve partnered with the Canadian government through the Impact and Innovation Unit in the Privy Council Office to run our learning programme and create an ambitious learning environment for leading change agents within the Canadian government. The public servants in the programme are part of the newly incepted Government of Canada Entrepreneurs (GCEs), a cross-government group of 19 with the mandate to challenge existing ways of working on persistent policy and structural challenges in Canada. The GCEs are a highly ambitious and reflective group, and have a direct strategic connection with the Deputy Ministers Task Force on Public Sector Innovation. 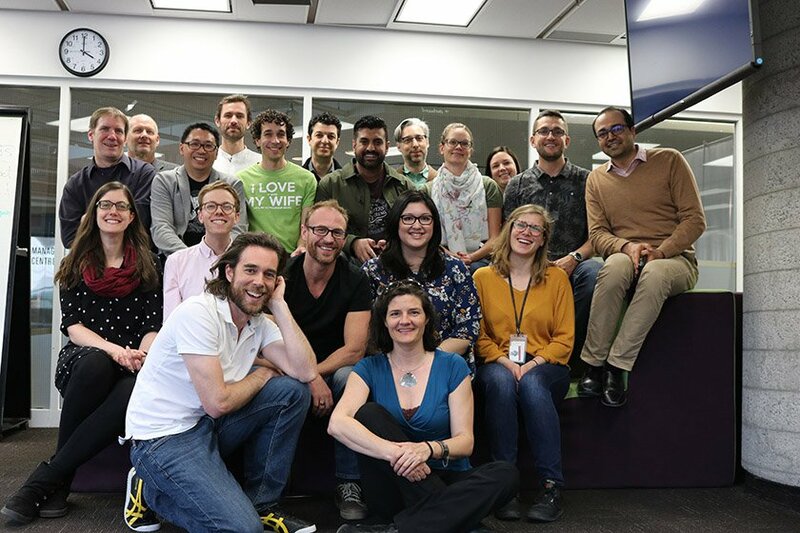 Similar to on our sister programme in Australia, Victoria, over the next nine months the Canadian cohort will work on live projects connected to theirs jobs in order to develop their capacity to innovate and experiment. The goal is to support them to advance concrete initiatives that focus on complex challenges, core systems transformation and experimentation with disruptive technologies within government. In connection to the Task Force, as a starting point they have been given the scope to work together on 13 projects to explore the potential of this new horizontal way of working and most importantly how it can deliver better results for Canadian citizens. You can read more about how the GCEs are getting to grips with this new and exciting role in blogs by participants Anthony Jaz and Ismar Fejzic. 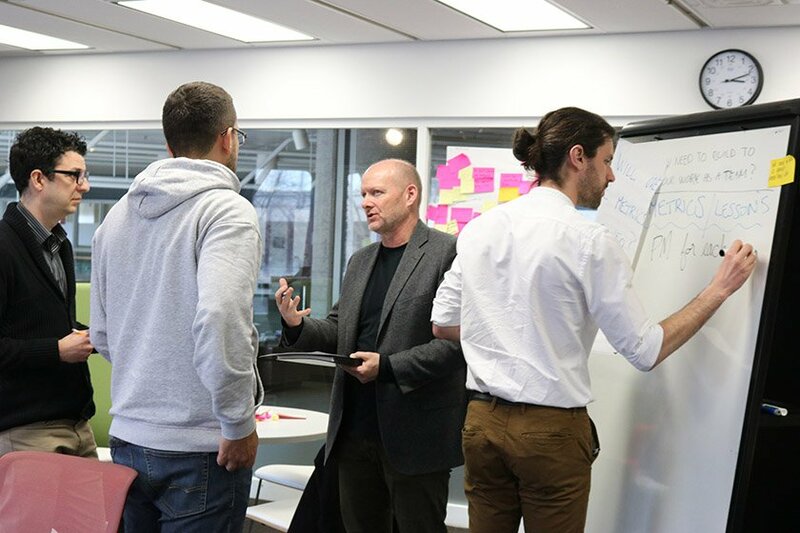 The programme started in May with a four-day ‘Scoping’ session in Ottawa led by an expert team of innovation practitioners, including States of Change faculty members Jesper Christiansen and Marco Steinberg. The ‘Scoping’ phase was designed to introduce the GCEs to the learning programme and support them to scope their new role and projects by drawing on our six principles of innovation. 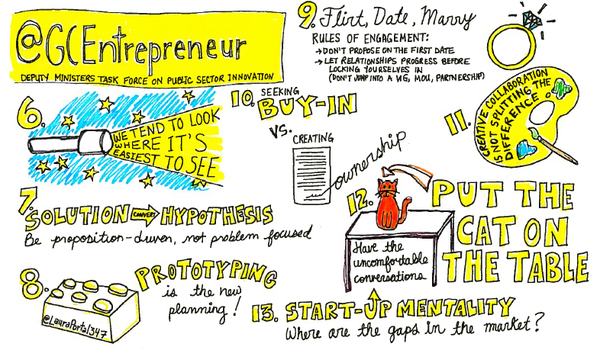 This was framed through a call to action by Marco around the need to radically redesign government to meet the needs of a 21st century, demonstrating the core narrative of the programme: that we need to experiment outside our comfort zone and move beyond the obvious in order to develop better outcomes for society. We then dug into the levels at which the GCEs would need to operate to do this: individual, project and organisational. You can see what resonated for the GCEs in the blogs they have written since. A key focus of the programme is to integrate the training into participants’ current work so that they build capacity in connection to - rather than in isolation from - their day jobs. As well as the face-to-face sessions, the GCEs are supported through in-between activities, mentoring and remote learning. Since the Scoping session last month, we have continued to mentor the cohort as they have developed their organisational model and the definition of their role by writing their own job description (see the blank template we provided them with here). We have also run remote project clinics to support the scoping of their projects (see the scoping tool used to support this conversation here). 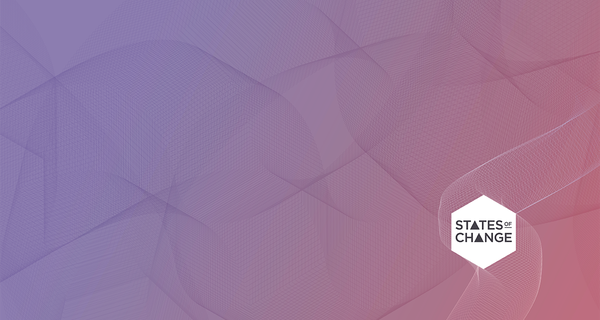 As GCE Anthony explains in his blog, “Our job is so new that we have no job description, there is no language profile, there is no payscale, and there is simply no box that we could fit into”. Sounds like an innovator’s dream right? We know from experience, however, that the process of trying out something radically new can feel isolating in a context that actively reinforces the status quo. GCE Brian Jones wrote in his blog, “I was worried about that until I took States of Change training”. 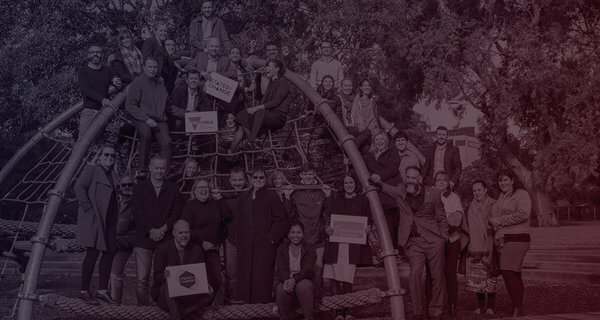 This is part of what States of Change is responding to, by both building a global learning collective to share innovation practice and also connecting those trying to do the challenging job of innovating in the public sector. We see our role within this as less about providing all of the correct answers, and more about helping people to ask the right questions. As GCE Brian aptly put it in his recent blog, “government ministries are hierarchical and aligned vertically, but the problems we face hit us horizontally. Rarely, if ever, does one problem that Canada and Canadians face land squarely in one department”. This argument for interdisciplinary teams is in no way new, but it consistently brings up practical realities: How do we budget for this? Whose organisational norms do we use? Who gets the credit? The GCE initiative provides an experiment to try to answer these questions and test whether having allocated resources within departments to work in this fashion starts to bridge the gap. The GCEs are a new group with no formal hierarchy beyond their reporting to the Task Force. In many ways, this is a blessing as they can define what their structure should be based on practice. 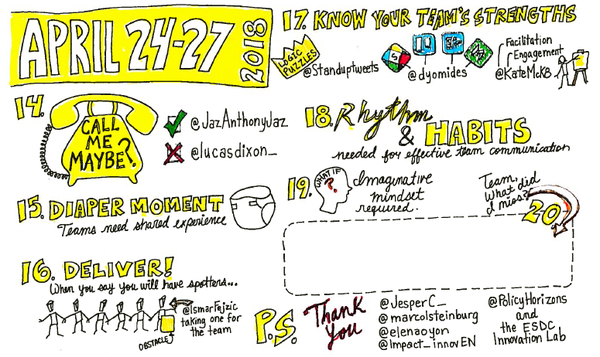 At this early stage, however, it can also feel like a bit of a curse, as GCE Ismar explains: “We are coming up against some interesting challenges, like how to build consensus in a group of 17 [now 19] entrepreneurs”. We know that forming new teams can be a bumpy road, and in practice these human obstacles can often stall progress. As GCE Lucas shares teasingly, this is particularly the case “for a group of type As that can barely agree on a place to eat for lunch”. 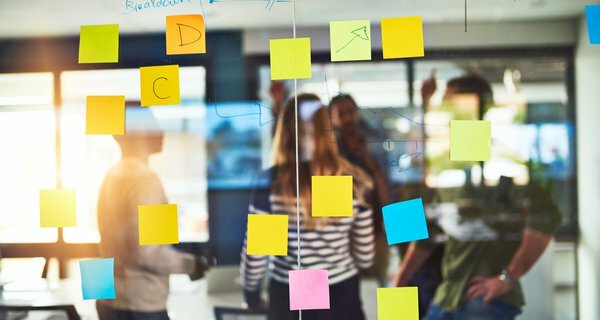 For this reason, a key focus is team design and the human elements of establishing a new organisation, looking at how to support the group’s entrepreneurial spirit. This focus on practice, however, brings questions around creating new habits and unlearning old ones. Behaviour change is a difficult business, as GCE Leanne jokingly explains in her blog on visualisation and being concise: “Clearly, I need to revisit this lesson.” Our experience shows that this is often the case, so the States of Change curriculum focuses on reinforcing or reframing things that we already know as well as introducing new ideas. Working within a senior decision making body that requires some balancing of the varying interests and needs does come with some pragmatic realities, however. Their project portfolio in many ways represents this. As Leanne explains, “none of our projects were created equally, and they are all starting from different places. All of them will have us playing a different role in leading, identifying or supporting partners”. In practice, what will distinguish the entrepreneurs is how they maximise this strategic position to enable projects, challenge business as usual and support the reframing of problems and solutions within their reach - all whilst being, as GCE John describes it, “conscious about being open, collaborative, and working horizontally”. Our next face-to-face week with the cohort will go into the ‘Explore’ phase of the programme, which looks at how to open up their understanding of their challenges and respond in ways that are not just business as usual. This will include sessions from local States of Change partners InWithForward and MaRS Solution Lab on ethnography and systems design. We’ll be sharing more updates and reflections as the programme progresses, so if you’d like to keep up to date with what we’re doing please sign up to the States of Change newsletter. Reviewing the latest training week from our States of Change learning programme with the Victorian State Government. In this provocation piece for our States of Change collective, Canadian government innovation lab MaRS Solutions Lab challenges the common misconception of improvement as innovation.